Kombucha is a fermented drink (a type of vinegar) prepared using black tea or green tea as a base, cane sugar or honey as a sweetener and fermented by SCOBY (Symbiotic Colony of Bacteria and Yeast). It is known for its health benefits as probiotic. It contains B vitamins, enzymes, acetic acid, gluconic acid and lactic acid. Overall, it is a good supplement for stomach, liver, intestines, joints and immune system. Kombucha tea improves digestion, liver functions, and immunity. It can also help you to lose weight by improving metabolism and preventing accumulation of excess fat. Kombucha acts as antioxidant, energy booster, immunity enhancer, detoxifying and metabolic stimulant. It is useful in cases of cancer, AIDS, low immunity, low libido, premature graying of hair, digestive disorders, obesity, and arthritis (joint pains). It provides support to the whole digestive system due to acidic content, enzymes, and probiotics. Kombucha is a good probiotic supplement. It improves intestinal health. It increases immunity, improves digestive functions, prevents or reduces inflammatory bowel conditions, and helps to fight with food-borne diseases. As the study suggests it reduces gastric acid secretion, it can also help in hyperchlorhydria (abnormally increased gastric acid levels in the stomach) or hyperacidity. Therefore, it plays a role of gastroprotective as well. Thus, it can effectively reduce the symptoms of diseases including dyspepsia, indigestion, heartburn, GERD and peptic ulcers. 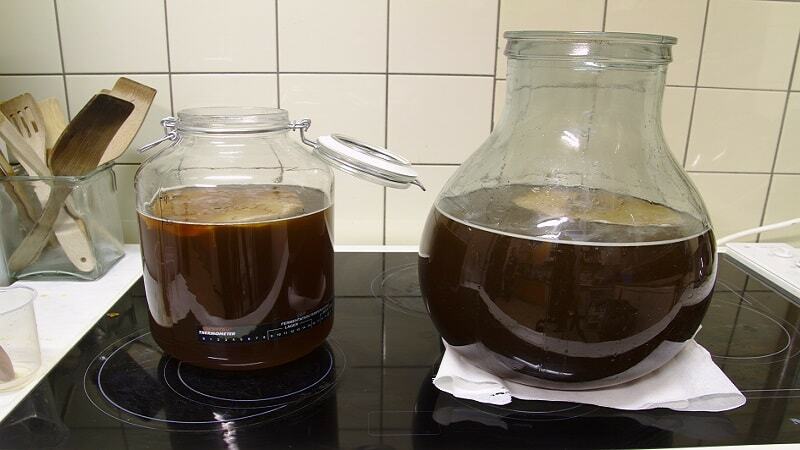 The adverse effects with Kombucha Tea are rare when it is prepared under hygienic condition. However, the safety profile is not well-established as per modern scientific parameters. The over fermentation of Kombucha Tea can cause Acidosis. Its contamination with other bacterial or fungal strains can cause infections. Where is Kombucha Tea available? You can buy it online from Amazon.